“Guess Who’s Coming to Dinner,” one of the more important films of the 1960s, opened at the Victoria and Beekman theaters in Manhattan fifty years ago today. 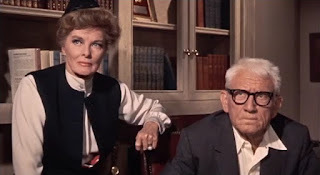 The movie, which focused on interracial marriage, featured the legendary actors Spencer Tracy and Katherine Hepburn and the younger star Sidney Poitier; all three were Academy Award winners. Tracy, who was in poor health and died shortly after the film was completed, played the father of a young white woman who falls in love with a black physician. That woman, “Joanna,” was played by Katherine Houghton, Hepburn’s niece. 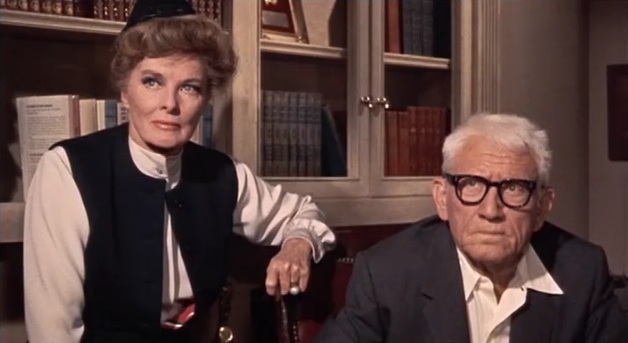 In the movie Tracy and Hepburn are wealthy liberal parents who raise concerns about their daughter entering into an interracial marriage. The story is enhanced by the perspectives of their black maid, an elderly Catholic priest, and the parents of the groom-to-be. After much angst, the characters become reconciled to the prospect of a marriage that would seem to have confronted various challenges at that time. The Supreme Court decision Loving v. Virginia, which invalidated state miscegenation laws, was rendered soon after the film wrapped. “Guess Who’s Coming to Dinner” became successful after it was more broadly released in 1968 and received two Academy Awards, including one for Hepburn, and eight other nominations, including one for Tracy. One of Hepburn’s most well-known roles was in “The Philadelphia Story”. Among Poitier’s important performances were those in “Lilies of the Field” and “To Sir with Love.” Hepburn died in 2003 while Poitier is currently ninety years old. The photograph of Hepburn and Tracy is from the film trailer.